Throat infections can be quite a painful thing to deal with. Irrespective of the age of one suffering from it, it can leave you in a constant condition of helplessness. Pain, losing one’s voice, and fever are a few of the symptoms that can make life unbearable. The most common form of throat infections is bronchitis and strep throat. In medical terms Bronchitis is caused by the inflammation of the lining of the membrane that lines the bronchial tube in a person’s chest. With this said, one suffering from bronchitis usually suffers from acute chest pain, sore throat, raspy and a deep cough, thick phlegm or mucus that surfaces when one coughs accompanied by fever. Dentists feel that bronchitis is extremely infectious and one needs to be out of bounds till one is absolutely cured. Doctors advise a strong dosage for those suffering with acute bronchitis. A proper and a controlled diet are also advised until the infection is cured. It is also essential to get fresh air rather than limit yourself to the bed. Warm Epsom salt baths help in dealing with bronchial problems. It soothes the throat and relieves the patient of pain to some extent. Strep throat is different from bronchitis. 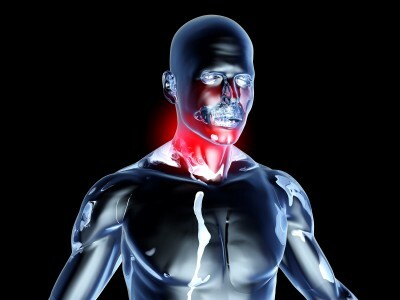 It is typically an inflammation and swelling of the throat, tonsils and lymph nodes. Unlike sore throat, which is the result of viral and passes by over a period of time, strep throat is caused by bacteria and is a sign of an infection. A patient who has been diagnosed with strep throat needs antibiotics as a treatment method. Strep throat if left untreated for a substantial period, can lead to other health hazards. It is said the strep throat is contagious as well and one can get the infection if in contact with a person suffering from it. It is true that the symptoms vary from children to adults. For adults the symptoms are more intense and can be very painful as compared to children. Doctors recommend a strong antibiotic course for treating strep throat. One can resort to friendly home remedies when suffering from strep throat. This can be in conjunction to the medications prescribed. Herbal tea with chamomile, sage, peppermint, lavender, jasmine and rosemary help soothe the body and make the pain a little more bearable. A regular gargle with salt water also helps wash out the bacteria and provide relief. It is always important to note that no treatment or medications should be administered without the doctor’s diagnosis and advice.